Hello and welcome to the Altenew Crafty Friends Bloghop. You should have arrived here via May's blog if not, you will want to start at the Altenew Card blog because there are a ton of sponsors, so lots of prizes to be won. I have included the list below. I am so grateful to be a part of the crafty community. I have made so many friends here online and in real life by attending trade shows and retreats. I got my start many years ago I was invited to a stamping workshop and my life has never been the same. I was always crafting in one form or another but when I made my first card using embossing powder I fell in love. Another thing that changed my life is the MISTI. I was a card maker that threw away so many cards that I completed and when I went to stamp the sentiment I would stamp it crooked or not get a clean image and when I tried to stamp it again it was worse. The MISTI changed all that and my stamping life. I have always loved Altenew's stamps but to be honest I wouldn't buy them for the longest time because for the life of me I could not layer, they were gorgeous stamps but I couldn't get them aligned right until...yep the MISTI now I buy them all! I know it's the holiday season but it is cold where I live and its all brown and I needed some color! I used the Dahlia Blossoms stamp set along with the Halftone Hello stamp set and Halftone Hello coordinating Die. We are also giving away a $20 Altenew gift certificate as well. You have until Sunday December 2nd to leave comments here on our blog and the winner will be drawn from the comments here and announced on December 4th in the Team Tuesday post. Now it is time to move on your next stop is Kathy Racoosin and you all know she has a gorgeous project to share. I have this stamp set and I love using it. It is so versatile and you can use so many different colors as you have. Love your card. Love the background on your card. So beautiful! I always love seeing cards made with stamp sets I own -- inspires me to pull them out and use! Thanks for the inspiration! Did you use a light ink color(s) or did you layer some vellum to get the soft look? Love multi stamping with Altenew! You are so creative! Love your use of the Halftone Hello stamp! I totally agree about the MISTI - it has made stamping so much easier, especially the layered images. I also avoided buying them, until I got my first MISTI. (got the mini first, as I resisted getting one, but then had to get the original). Last year I used AltaNew images for my holiday cards, and it was handy to be able to double stamp them! I agree we need color at this time of the year - what a beautiful card! And the MISTI has improved my stamping 100% - it is really the best tool ever. I am planning on buying another one so thanks for the chance of winning one! So pretty, like the co.ors. I don't know what I would do without my Misti. Lovely card. Oh I love dahlias - what a beautiful card! lol.. I tried this stamp set at "In the MKNG" in september and didn't get it lined up just right so I am very impressed! Beautiful card. I love the colors here! What a lovely card! Pretty card, thank you for sharing! The misti has been A great tool and I use it every time! Such a cute card, and what an awesome blog hop!! Thanks for the chance to win such a super prize! The card is so pretty. I love the colors. Beautiful card...love flowers any time of the year. It is a happy card! You're right about the Misti tool; I love mine! I like your pretty, colorful flowers. Just a perfect hello card. Lovely colourful flowers - this is so cheerful. Lovely card. Thanks for the inspiration! What a wonderful blog hop to celebrate this great international crafty community! Love the cards... pretty colors. lovely card, the MISTI does indeed help me in my cardmaking! Very lovely card, Ceal. And thanks to My Sweet Petunia for sponsoring. I like the more muted colors of your flowers on this card. I have not done a 3D card yet, but am glad to know that the MISTI will be helpful when I do! Such a lovely card! Pretty colors! I love the colors in your card..such a happy card. I agree with you about the Misty...made my stamping a lot easier and less frustrating with making errors !! The MISTI has changed my stamping life! THANK YOU!!!! Wonderful card. Love my MISTI. Got the 12 x 12 as I scrapbook, but saving up for the original. I just love that Halftone Hello! Great contrast to those bright and beautiful flowers! Lovely card. Love my Misti product. Best invention ever. Beautiful card. I love 2 step stamping, gives it so much dimension. Very gorgeous card! I'm addicted to the MISTI, has been a game changer for me, especially at Christmas as I create 76 hand made cards to mail and give to friends, family, church folks. What an awesome blog hop! I adore the Dahlias ans you have made them look so soft and pretty. I love your card and especially want to thank you for the Misti. I have had one since the beginning and it has changed my life. Really pretty card. I love your color combination. Thank you for sharing! I love cards made Dahlia blossums stamps. I can't wait until I get to work with one of them. Lovely card. Love this card and completely agree that the MISTI was a total game changer. No more fear of screwing up first pass at stamping and no more struggle to realign the stamp for a second go round! Bright and cheerful card:) Interesting mix of mod with half tone and the more formal flowers. You are so right! The Misti and Altenew are made to go together! Love My Sweet Petunia and my Misti. Love this card. This is my favorite flower. Lovely card! I also really like the altenew layering stamps. Such a pretty card! And, by the way, I LOVE my mini MISTI!! Love your pretty and cheerful card! What a delicate card. Love the flowers. Gorgeous card! Love the cheerful colors. Love my Misti. It makes making multiple cards a breeze! The Misti has had such a benefit on the crafting community and industry! So many types of stamps on the market now that wouldn't have existed before the Misti!!! Wreath builders, turnabout, and of course Altenew's layering stamps that sometimes have up to 8 layers. No one would have attempted that before the Misti! Beautiful card!!! I will have to get this stamp set and give it a try! I love your black mat and sentiment! It makes the whole thing pop! Such pretty cards. Thank you for sharing your creativity with us. Haven't hopped in a while and had to hunt for the comment area. Didn't give up though like most times. Love the Misti! I don't think I could stamp without a positioner now! These are stunning!! I really like that you used different colored dahlias on the card. Thank you for the inspiration!! I live this card! It is just beautiful! Your card is so pretty! Love the colors! Wow Deal, your card is gorgeous, the colour is very welcome to my sore eyes also. Brown"would be nice right now....where I live in the Maritimes (Canada) we have had so much snow in the past 2 weeks that there have already been 5 (YES FIVE) snow days and we haven't hit December yet. That is unusual for us to have that this early...Eeek! Makes me wonder what lies ahead of us in the next few months? Sorry, I digress haha.... your card is a sight for sore eyes, indeed! Beautiful card with my favorite flower/stamp! Your color choices are so bright & warm. Very inviting because of the cold dreary weather here. I love this design! your coloring is just fabulous! Love your card, beautiful flowers are never out of season. Love your choice of colors. Lovely card. Makes me think Spring on a chilly Minnesota day. I really like that Dahlia Stamp. Beautiful dahlias! I love my mini!! Saved my life this week as I was stamping and embossing Christmas cards! Very pretty with the colorful flowers and the hello sentiment. I love this bright and cheery card! Altenew flowers are the greatest, too! Your Dahlia Blossom card is very pretty and cheerful ! Yes crafting changes our lives, and crafters make some of the best friends. We have a couple of groups that get together ( at the same place) and craft on a regular basis and we have ALL become a community. Nothing like hanging out with crafty people and learning new things !! Beautiful and bright floral card...love the image. Beautiful cards for me started when I bought my misty , beautiful card ♥️ . I love my Misti. It is the most used tool in my craftroom. Very colorful card. Thank you so much for sharing it with all of us. I love the colors you used. It's such a bright and fun card. I don't have a Misti yet but it is on my Christmas wish list so hopefully! I love my MISTI ! I hardly ever stamp without it. I also love Altenew stamps and the MISTI really helps getting things lined up correctly. Thanks for a chance to win and for inspiring us. I appreciate all the colors. I find my misti to be the most incredible stamp tool invented for sure! Nice happy bright card to light up our day. Yes, MISTI was a game changer for me as well. Thank you. Wow, Thanks for the chance to win and I love the clors on the card! Ceal, I so agree that the Misti has totally changed my crafting experience in such a positive way! I use it with every card I make. Thanks for sharing your gorgeous card with the bright colors-so nice on these gloomy late fall days! Your card is so pretty on this cold rainy day. And yes, the MISTI has definitely changed my crafty life too. Love the flowers. This is a card that presents such a happy feeling. Thank you. Beautiful card with fantastic colors! Love your colors and originality! Beautiful card! What a beautiful card ! I agree with you that using the Misti for the layered stamps has really been a life saver.I love all the Altenew layered stamps so much but having the Misti really helps! Such pretty flowers and the black sentiment and border really make it pop! This card is so bright and cheerful! Love the gorgeous blooms. Your card is so bright and beautiful itmakes me long for spring to return!!! TFS and have a very blessed day. So beautiful. MISTI does make it so much easier to layer the beautiful Altenew stamps. 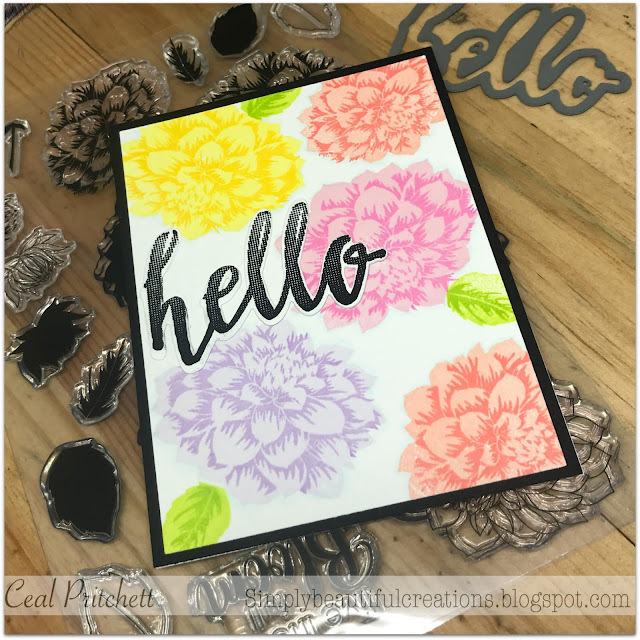 I loved your Dahlia blossoms card! Thank you for sharing your techniques with us! Such a beautiful card! Love the colors. Very pretty! Very cheery on these cold winter days, warms the heart. Thank you for sharing. The Misti is a staple tool on my desk! Beautiful card! Gorgeous card, simple and elegant! I love lots of color too! Your card is so pretty! I'm just learning with the Misti. I know it's a tool I need! Beautiful colours for this dull and dreary November weather! Amen, Ceal! I adore the MISTI in any size! and, since I live in Michigan, thank you so much for the flowers! lol they brightened my day! Great Hello and nice colors Thanks for sharing your designs. The dahlia blossoms are so beautiful! Lovely bright and happy card. How pretty. You have mastered the layering thing. Yes, I love my Misti! Beautiful card! I know what you mean about needing color - I'm not craving it yet, but coming mid-January I definitely do! Wow! Those flowers are stunning. Couldn't do it right without a MISTI. TFS! Yes we can use some color right now and your cards is beautiful! Crafty friends are dome of the best friends. Thanks for the chance to win. 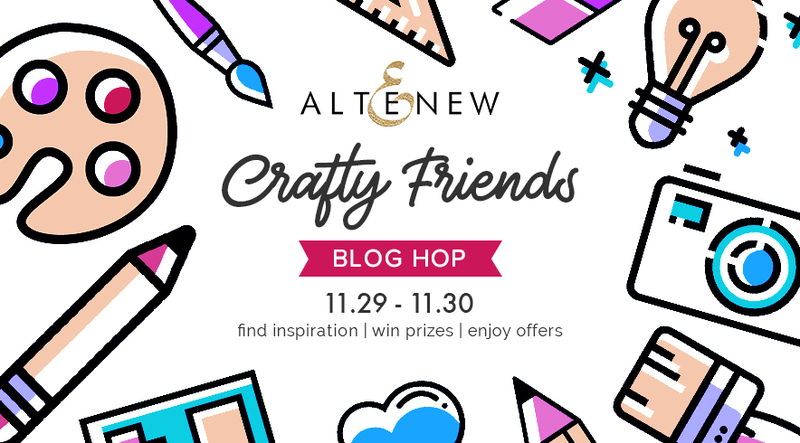 Thanks for being a part of the Altenew Blog Hop. It's dreary and brown where I am too--your pretty card is very cheerful to see! Wow! This card is lovely. The 2 toned flowers are so cheery. The colors you use are magnificent! I'm a new card maker and really enjoyed reading this blog. Thank you for the tip about the MISTI product - it seems like a must have! The Misti has been great for me, too. Thanks for joining the blog hop. Beautiful card. The colors on those flowers are gorgeous. Beautiful florals! Love the colors you chose, thanks so much for sponsoring the hop! Very beautiful colors. My stamping platform changed everything for me too! Why did I wait so long? I love these pretty dahlias! The colors are so fresh and remind me of spring! I too struggled with stamping sentiments on my cards. I purchased a Misti and at first was a little intimidated. I vowed I was going to learn and I have. Now I wouldn't think about doing it freehand. When you put all your time and work on a card and it looks so good why chance the sentiment ruining your art. That is a cool card - I love the halftone hello - it makes an interesting contrast to the soft, traditional florals. Love this clean & simple card. It will be great for almost any occasion! Yup, we are all grateful for the Misti and the reduction in throw-outs! TY and we share your need for winter color! Love the cheery card on this cold dreary day! Your tool, the MISTI, has helped me in my card-making in so many ways! Thanks for participating in this blog hop! Beautiful card! The Misti tool is definitely a game changer when it comes to stamping! Beautiful card! And I feel your stamping struggle; I haven't gotten myself a Misti yet but I got my hands on my first Altenew layering stamps (Holiday Bow) and I'm definitely in love! Thanks for sharing! Such a beautiful card, I love Altenew's layering florals especially. The MISTI was a game changer for me too with my stamping, it's so much more fun now. Thank you for all you do and the generous giveaway. Your bright and cheery card is so beautiful! Perfect for a gray day. Very pretty card! And this is a super fun blog hop!! I LOVE this tool!! I have tried a couple of others but there is no comparison! Lovely spring colors for the dahlias. Thanks for sharing. Oh, I love your so pretty card. Those soft colours and that gorgeous flower are just beautiful. Altenew are certainly the top company for flower stamp designs with so many to choose from. Thanks for sharing your lovely card with us all to give us inspiration. 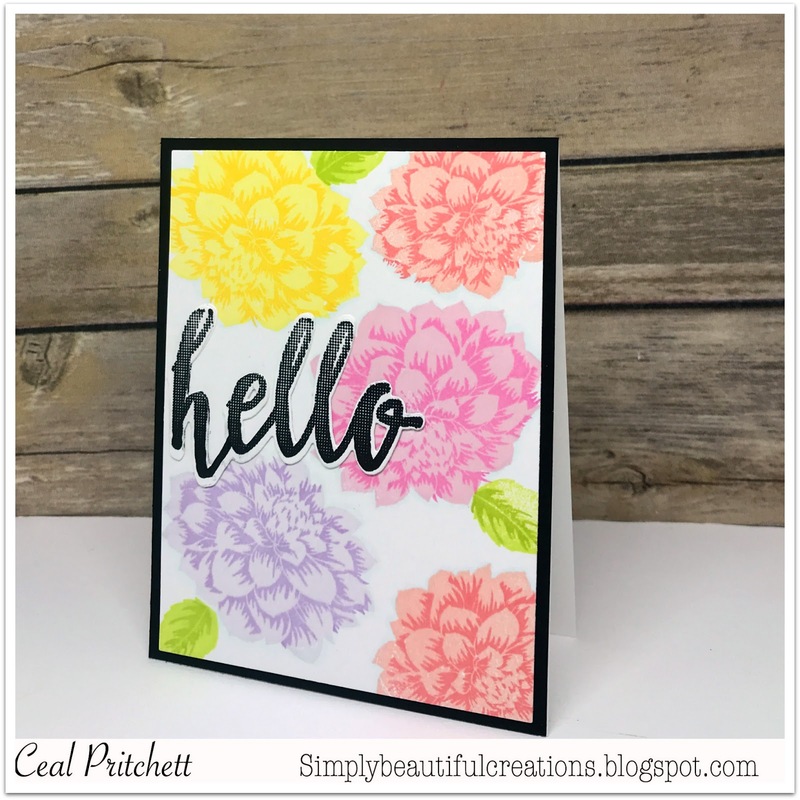 your card is so lovely in those pretty pastel colors, Ceal! I couldn't do layering very well either until I got my MISTI!! Beautiful card, so cheerful! I enjoy stamping much more since I started using a MISTI too. I totally get what you're saying! The Misti is a game changer! I love your dahlia card. One of my favorite flowers & stamps! Altenew has the best layered flowers... Wow that Dahlia! A misti is a must of course! I must agree that the MISTI is one of the best stamping tool investments I've made. Just like your sample card, layering images is a breeze. Best of all, my sentiments are so easy to place in just the right place & look great!